Taking a break from posting my blind drawings. Here is a cartoonish representation of two people chatting, one apparently wearing a down jacket, the other in a sweater. 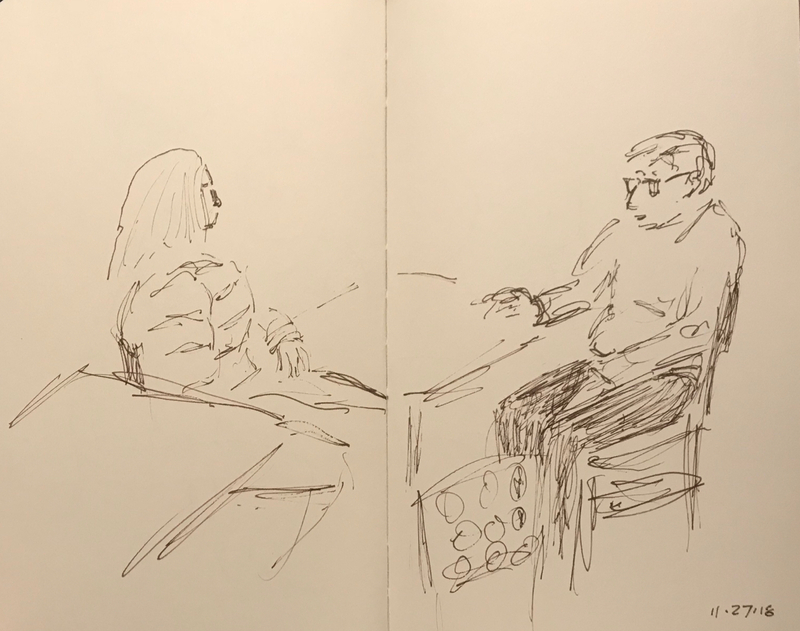 This entry was posted in Personal Stories and tagged art, artistic expression, cartoon, drawing, gesture, Michelin, pen and ink, portrait, sketch, visual art. Bookmark the permalink.